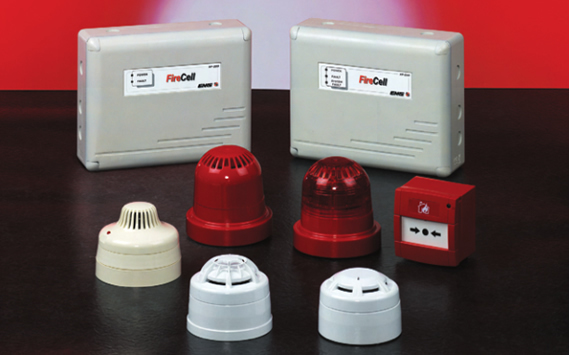 Automatic Protection Ltd can offer Firecell, a powerful and versitle wireless fire system from EMS. 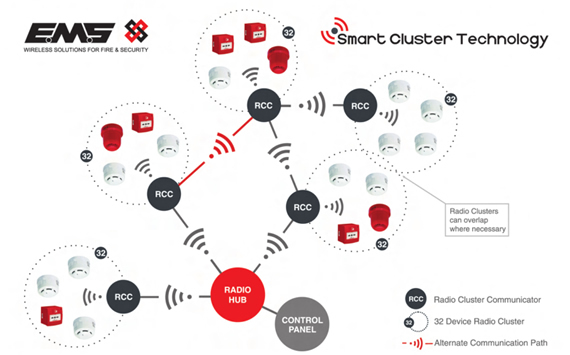 Firecell is a totally wireless fire detection system it incorporates the new Smart Cluster Technology (SCT) and utilises the European-wide 868Mhz frequency band. Firecell is the first system to be compliant with the new European EN54 Part 25 regulations. Highly Adaptable - Firecell is suitable in virtually any building type, from bed and breakfast accomodation to complex industrial plants. Cost Effective - Firecell provides a simple cost effective solution that can easily be adapted as any building develops. With the elimination of expensive fire rated cable even greater cost savings can be made throughout the install or building process. Re-usable - Firecell offers ideal temporary fire detection to meet health and safety requirements in and around custom environments such as buidlings sites and major sporting events. Environmentally Friendly - Firecell is an environmentally friendly system having eliminated the need for fire rated cable.